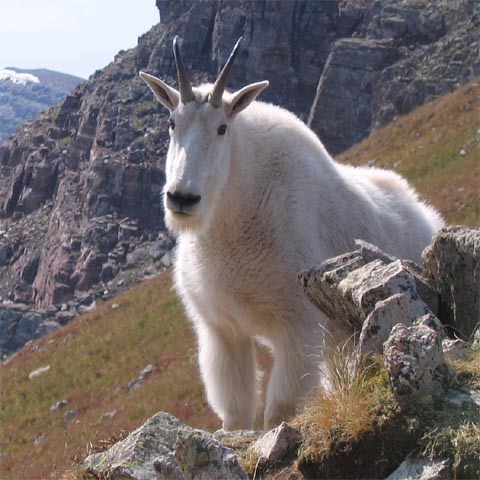 When we sat down for lunch at Buckskin Pass in the Maroon Bells, this mother goat and her seven cohorts were 600 feet away, up a hillside. She and her bleating kid started walking down the hill toward us, which we thought nothing of until she got within about 50 feet… then 30, 20, 10. Ted scrambled to put on his boots while Martha squeezed off a few shots. We scurried along the ridge trail and the whole pack followed us one at a time… until they reached a snow patch, where they all chilled out as we started back down.